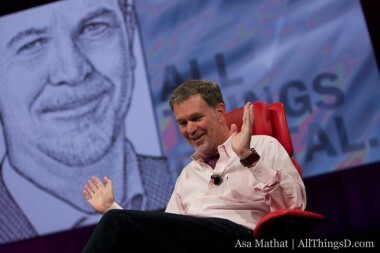 Two weeks after Reed Hastings called out Comcast, using his personal Facebook account to vent at the cable company, the Netflix CEO is at it again. Today’s blast is similar to last month’s in both form and content. 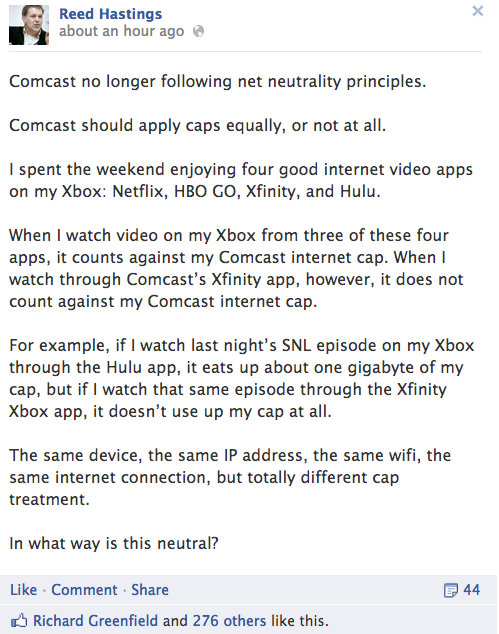 Reminder: Hastings has all sorts of ways to complain/lobby Comcast and/or regulators (see, for instance, the new Netflix PAC). I continue to find it fascinating that he’s taken to posting on Facebook for this stuff. (Another reminder: Hastings is a Facebook board member). Last month, I asked Hastings and Netflix PR if they wanted to expand on his comments, but never heard back. I’ll let you know if that changes.